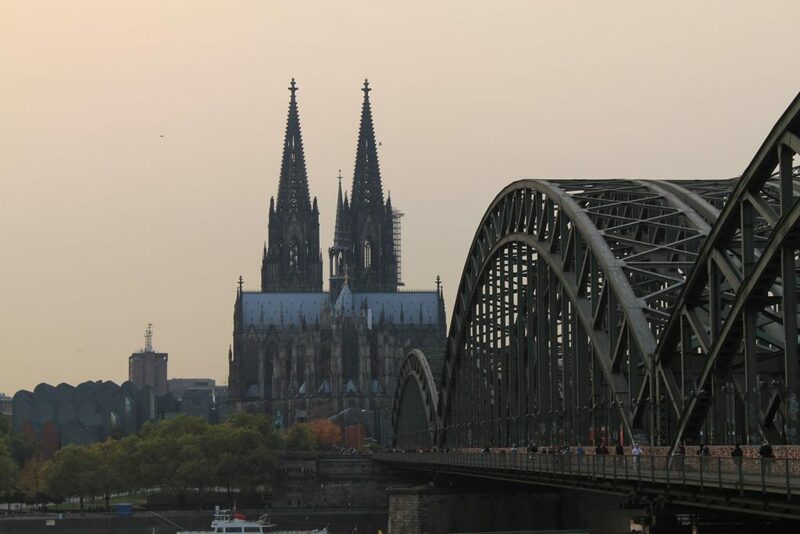 The city of Cologne can look back on more than 2000 years of history. Founded in 19 b.C. as a Roman colony, the town was named “Colonia Claudia Ara Agrippinensium” in 50 AD. There, the current name of the international metropolis derives. Even today the roots of the city can still be inspected on site. So the “Roman tower” is only a ten minutes walk from the cathedral. It was part of the Roman city wall in the 2nd / 3rd Century. Other archaeological finds suggest a permanent settlement of the area can even be dated back to 4500 BC. In the meantime, Cologne is the fourth largest city in Germany after Berlin, Hamburg and Munich. If you arrive in Cologne by train, you walk out of the station and immediately stand in front of the gigantic cathedral. On one of the pictures in the gallery, one of the figures decorating the top of the towers can be seen on the ground, in front of the building. It is unbelievable that this is a 1: 1 model – as the figure looks so small at the highest point of the 157 meter high towers. After the Ulmer Minster the cathedral is the highest church in Europe and the third highest in the world (number 2 is Notre Dame). As this was the last day of our journey, we spent it relatively quiet with drinking coffee, walking through the city center and crossing the Hohenzollern Bridge. The “lesser-known” sights as the Museum Ludwig, the Cologne cable car or the sculpture park, however, remained untouched for another visit some time soon. The next day we went back to Bavaria and after a few weeks at home we went on to visit Ecuador. How the country treated us? Very very well – read about it in my next post – Mompiche.